The Mont Saint Michel is a place of sheer enchantment! It is as if the most impossible monument was erected in the most remote location. Often called the “Marvel of the Western World”, Mont Saint Michel is situated on the border between two regions in France. Both Normandy and Brittany claims that it belongs to them! 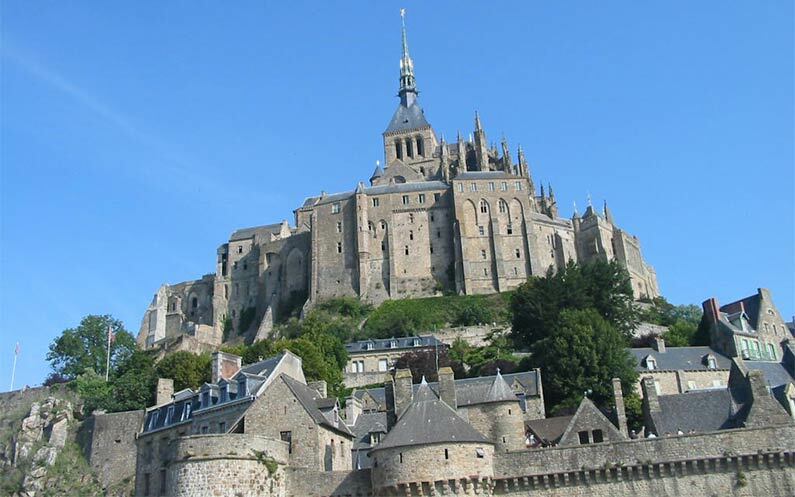 708: Aubert, Bishop of Avranches had a sanctuary built on Mont-Tobe in honor of the archangel Michel. 14th Century: The construction of the abbey extended to the foot of the rock. It was a stronghold of defence during the Hundred Years War, so today the military architecture with its ramparts and fortifications can be observed. These enabled the resistance of the English attacks during the Hundred Years War. 1793 – 1863: After the French revolution and following the dissolution of the religious community in France, the abbey was used as a prison. 1874: Mont Saint Michel became classified as an historic monument in France and major restoration took place. 1979: Mont Saint Michel became listed as a World Heritage Site by UNESCO.